Mike Ybarra, corporate vice president of Xbox and Windows at Microsoft, spoke to our Rich to chat about the Xbox One X and what it means for PC games going forward. For more of the latest in PC gaming, check out our homepage for the latest E3 2017 announcements. 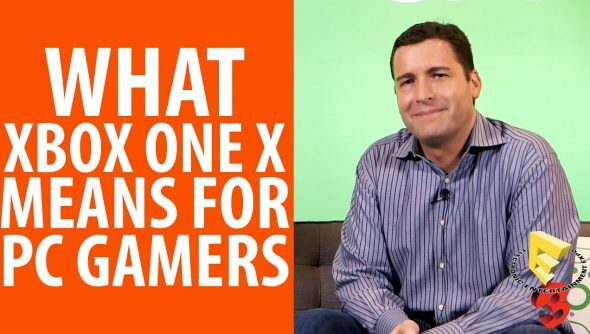 When asked directly about the Xbox One X and specifically what it means for PC gamers as a whole, however, Ybarra had considerably less to say, mentioning boons we already knew were coming for developers looking to embrace the Xbox Play Anywhere program such as 4K textures in Windows, 21:9 resolution, and AMD Crossfire support.